The lights will remain until the last day of January 2018. 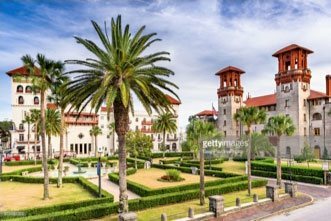 Are you planning a visit and looking for fun things to do in St Augustine during the last couple weeks of the year? We recommend checking out the Schooner Freedom for their Nights of Lights Sail. This is a sail that provides a breathtaking view from the water of the city’s historic bayfront and a view of the lights reflecting on the water. The Schooner Freedom sails will run nightly (except for Thanksgiving Day, Christmas Eve, and Christmas Day) from November 18 through January 6, 2018. Reservations are required for all the Nights of Lights sails, and seating is limited. Reserve by calling (904) 810-1010 or visiting here. All sails depart from the St. Augustine Municipal Marina, which is located at 111 Avenida Menendez just steps away from the Agustin Inn. The Nights of Lights Sunset Sail departs at 4:15 p.m. and lasts two hours. 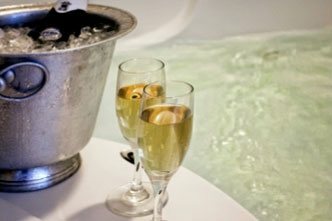 The $50 per person rate includes complimentary soda, water, beer, wine and hot chocolate. St. Augustine’s most popular New Year’s celebration, the Beach Blast Off takes place at St. Augustine Beach Pier Park on Sunday, December 31, 2017, with live music, food and drinks, a kids’ zone, and a spectacular firework show. The Comfort Zone at the event offers 30 food vendors and a beer, champagne and wine tent. Local bands provide the music and a 65-inch TV keeps everyone up-to-the-minute with the New Year’s Eve festivities in Times Square and around the world. This year’s event features a mechanical bull, a photo booth, and carnival rides. The Kids’ Zone area includes several inflatables and activities such as face painting. 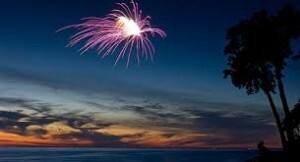 The fireworks display to music takes place at 8:30 p.m., with the after-party continuing until 10:00 p.m. The admission for the event is FREE and tickets are available on site for food and drink purchases. The event takes place on Saturday, December 31st, 2017 from 6:00 p.m. to 8:30 p.m. Fireworks begin at 8:20 p.m. The St. Augustine Beach Pier Park is located at 350 A1A Beach Blvd. For more information, visit here or call (904) 669-5670. 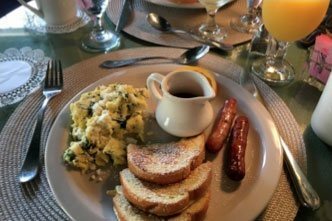 Enjoy waking up to our full two-course homemade breakfast in the morning and rise to the historic district! 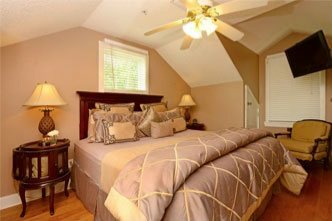 Tuck yourself in our comfortable rooms after strolling the city’s Nights of Lights and enjoying the sounds of St Augustine from your private balcony.